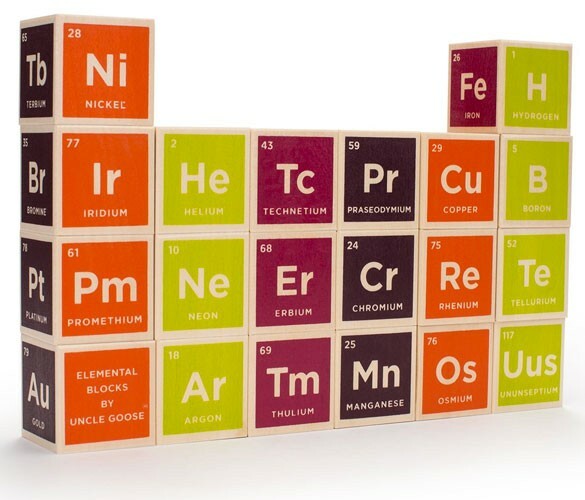 This set of 20 solid wood building blocks features elements of the periodic table. 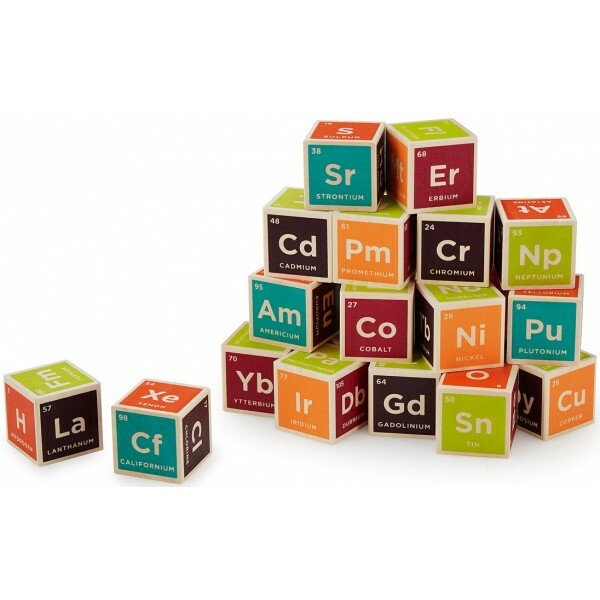 And even though they're building blocks, don't think they're just for babies! 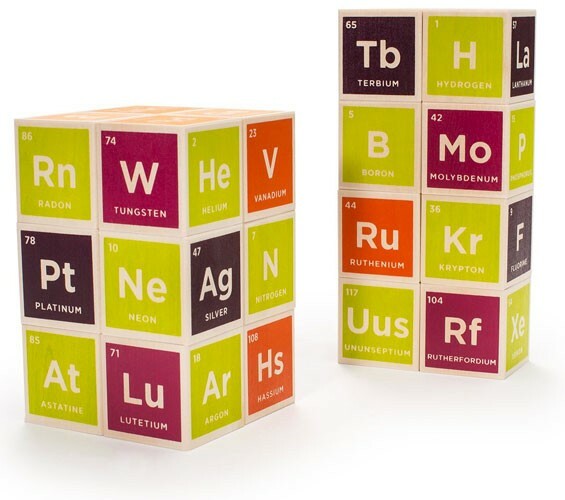 Sure, they're fun to pick up and throw around, but as your wee geek ages, they'll grok more and more why this set of blocks is totally nerdtacular. 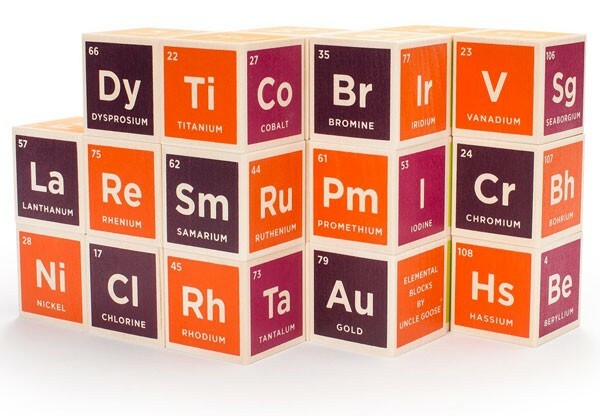 In fact, we betcha that your favorite chemistry nerd would love these, even if they're 36 years, not 36 months. Uncle Goose produce 100% of our products within our factory in Grand Rapids, Michigan, allowing us to control the entire process from wood milling and inspection through to shipping. 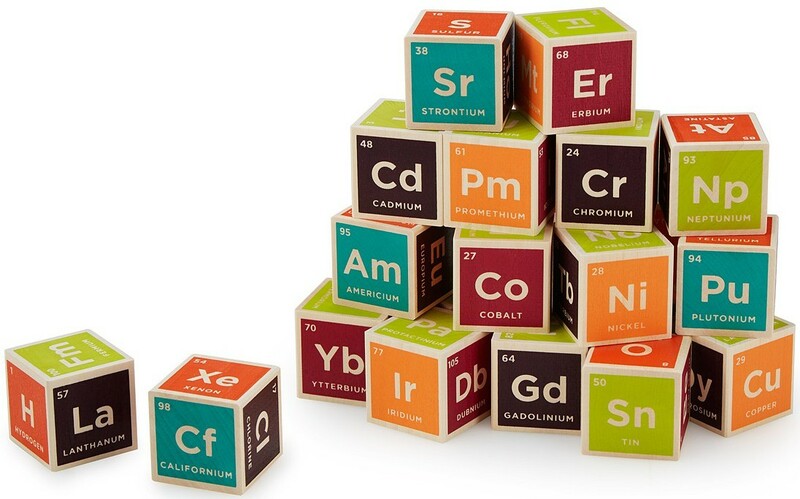 Our products are made from replenishable Michigan grown, Kiln-dried Basswood and use non-toxic, child-safe inks that are independently tested for lead before their use.